E.J. York Inc. has works with some of the most iconic retail stores in NYC. E.J. 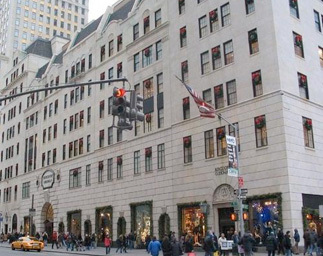 York Inc. has built many specialty boutiques in this most distinguished retail store on Fifth Avenue and 58th Street. The projects are closely managed and operations are streamlined to prevent store operations at any time. E.J. York Inc. employs only the highest quality craftsmen to assemble this winning team. E.J. York completed this project in the World Trade Center under the scrutiny of the Port Authority. Before the World Trade Center was destroyed this Flag Ship store was the highest grossing Tie Rack in the United States. We completed the new Star Wars theme store in record time and in secrecy so as not to disclose the new animations before release of the film. E.J. York completed the project two weeks ahead of schedule.